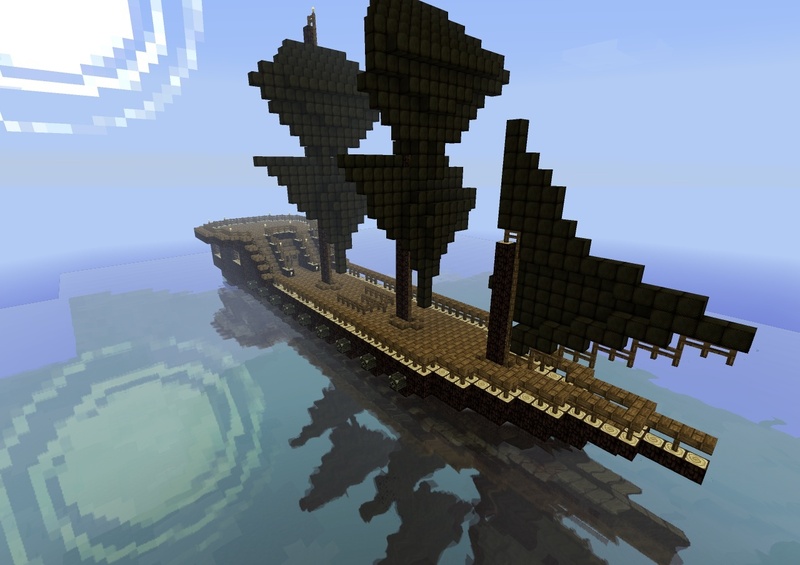 Plundercraft is a realistic SMP server that bases itself and its gameplay around a strong, pirate theme. Players have the choice of either starting out as a pirate or living in governed plots of land. As a pirate, life is much harder for you and you have little to no protection at all times. They are exiled from towns and have bounty on their heads. Anytime a pirate is killed, a small reward can be cashed to the attacking player. As a citizen of any governed land, life is much easier for you and you have protection against crime. However, if one is to turn to piracy, justice leading to execution will take place. Exploration of Plundercraft will be a major concept and will be encouraged through exploring the wilderness. Players will come across landmarks that may hold "secrets". Through finding "secrets" within landmarks, the story behind Plundercraft will slowly reveal itself and treasure will surely be rewarded to those keen enough to find them. New "secrets" and landmarks will be imported on an average basis. Now be gone with ye, ya scallywag! !